Britain has said it would reject the proposals outlined in the emergency EU measures for countries across the continent to take in a quota of refugees. The measure is being seen as a “declaration of war,” according to one senior EU official. The plans, which will be revealed by Brussels later this week, could include proposals to distribute 20,000 refugees across all 28 EU member states. 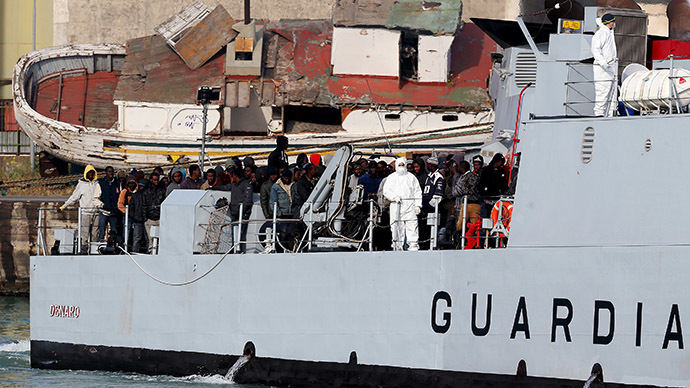 The head of the European Commission Jean-Claude Juncker is the main driving force behind the plans, which are being tabled in response to the high levels of migrants crossing the Mediterranean to Italy in recent months. Juncker’s plans are set to include the distribution of 20,000 refugees and asylum seekers throughout the EU. Exact numbers will be calculated according to each specific country’s population, GDP and levels of unemployment. The plans have already sparked criticism from EU members, who feel the decision to accept refugees should be voluntary. “If we are really going to stop the people putting their lives in danger by crossing the Med, we need to stop them starting their journey in the first place,” she added. The plans will need approval from all member states before they can be implemented. Currently Hungary, Britain, Slovakia and Ireland are opposing the measures. “It is a mad idea for someone to let refugees into their own country instead of defending their borders and then to say I will redistribute them among you,” Hungarian Prime Minister Viktor Orban said on Friday. “This is an unfair and indecent proposal. We therefore cannot support it,” he added. The countries which currently take in the highest levels of asylum seekers - Germany, Sweden and Italy - are all in favor of the measures, which could be brought in by the end of May. The statistics agency Eurostat reported a 44 percent increase in applications for asylum in 2014 to 626,000, with one in three registering in Germany.